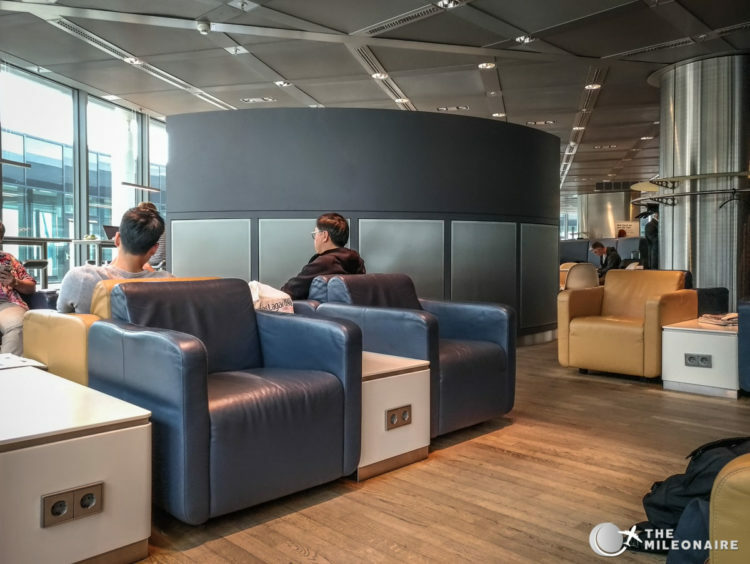 When you’re flying from Frankfurt to the world with Lufthansa, there are a ton of lounges available for you: from Business over Senator to the most luxurious First Class Lounges, anything is available if you booked the right travel class or own the right gold card. 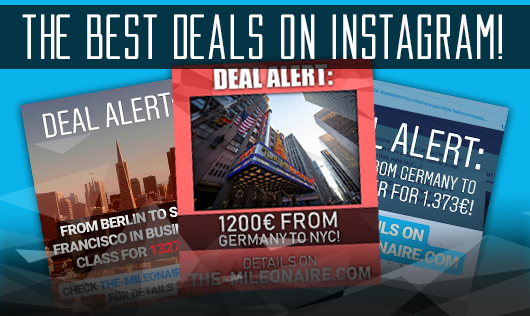 Frankfurt is the main hub for Lufthansa (ahead of Munich), so there are in total 7(!) 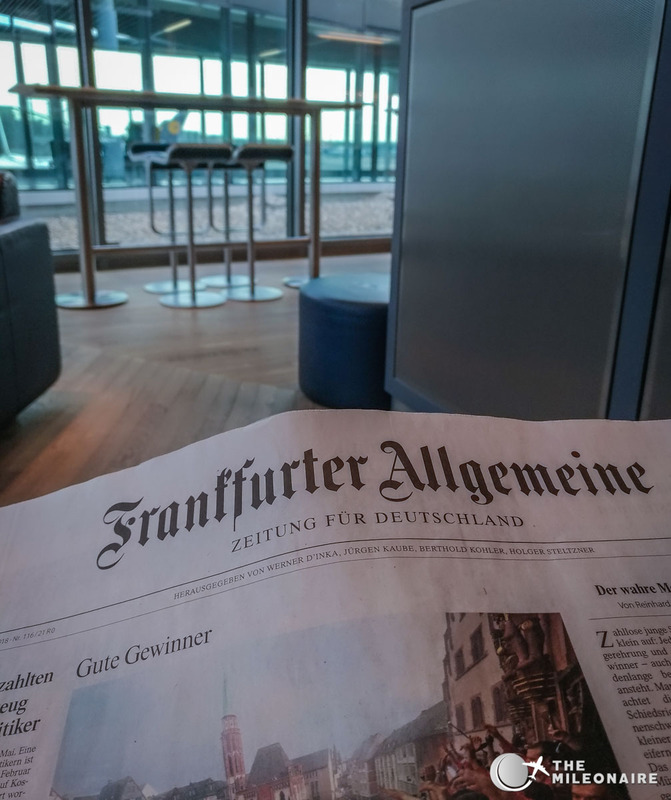 Business lounges at Frankfurt Airtport alone, depending which gate your flight departs from and if its a Schengen or Non-Schengen flight. 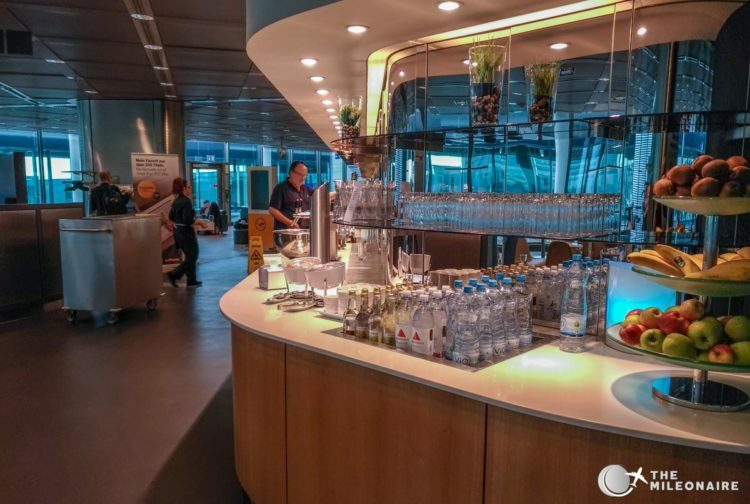 As Frankfurt is my home base I wanted to give you a glimpse of Lufthansa’s Frankfurt lounges (also dubbed ‘Carsten’s Potato Salad Paradise‘ among German flyers)! While Lufthansa’s First Class Lounges are on another level, the seven Business Lounges are pretty much similar. 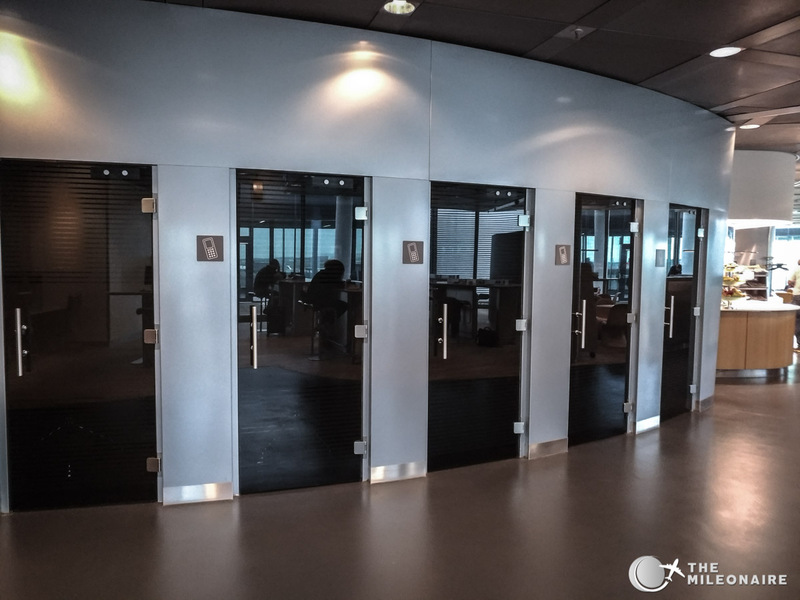 For this report I chose the lounge at Gate B44 to show you what they’re like. Access Criteria: Who Gets In? 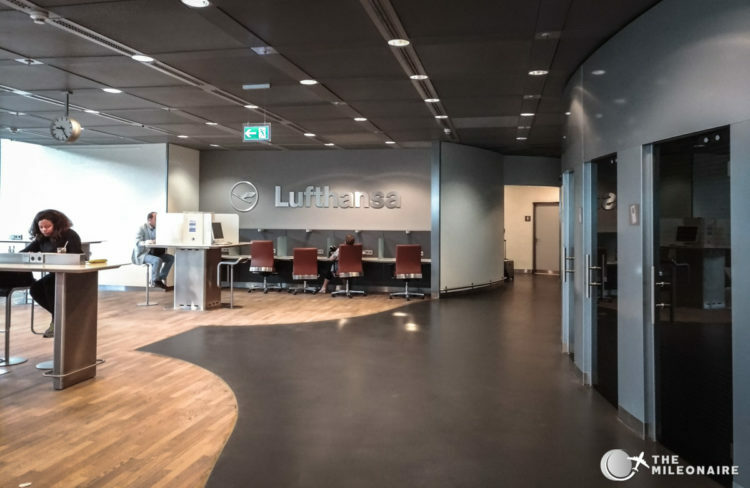 The first view of the Lufthansa Lounge in Frankfurt. 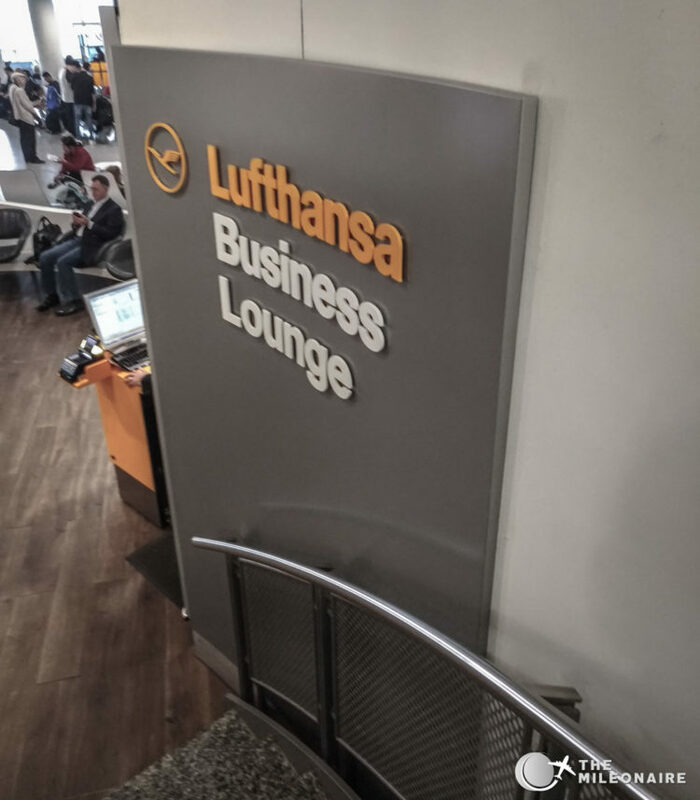 The Lufthansa Business Lounges in Frankfurt all look pretty similar: Big window fronts without a real view, bright wooden floors, leather chairs in beige/blue and lots of silver accents. 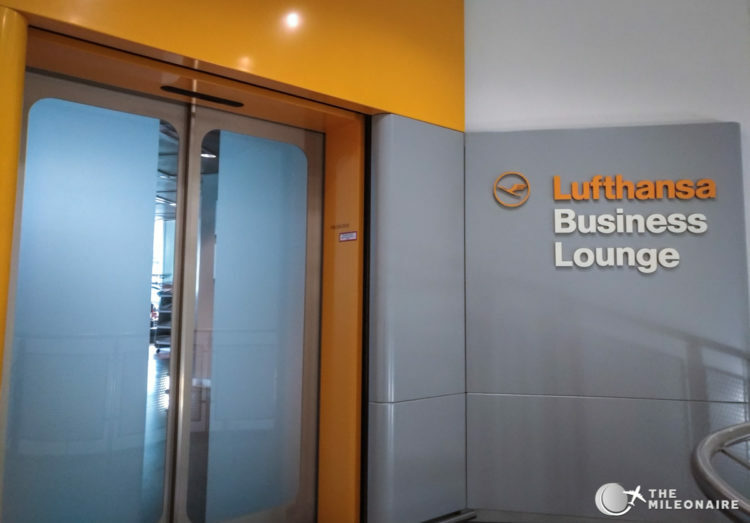 I think it feels very sterile though and lacks character; when I visit a lounge in another country I would expect at least some local taste or design elements, and both are lacking in Lufthansa’s super clean style. 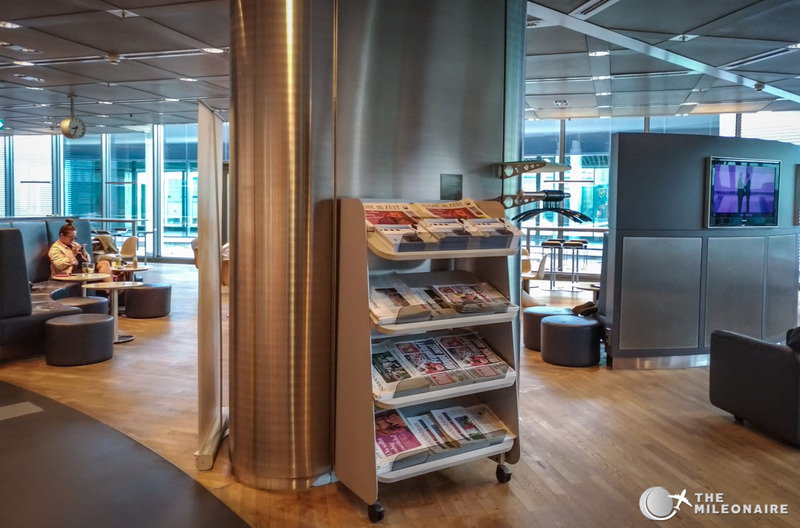 The lounge at Gate B44 is built like a circle around the staircase, and on your right (once you enter) is the buffet. 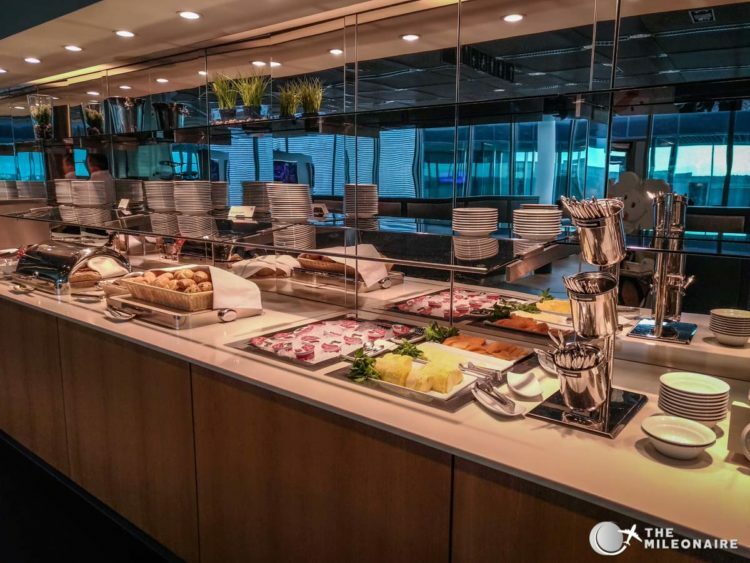 The food selection is the typical Lufthansa standard and a bit limited – I did like the fresh fruit though, and the German bread and bread rolls. 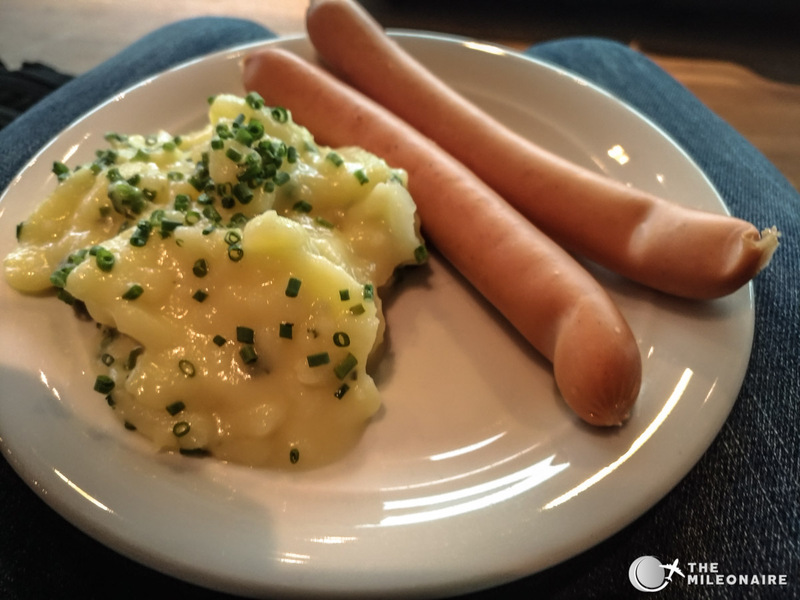 Carstens Potato Salad Paradise: what would a Lufthansa Lounge be without it? 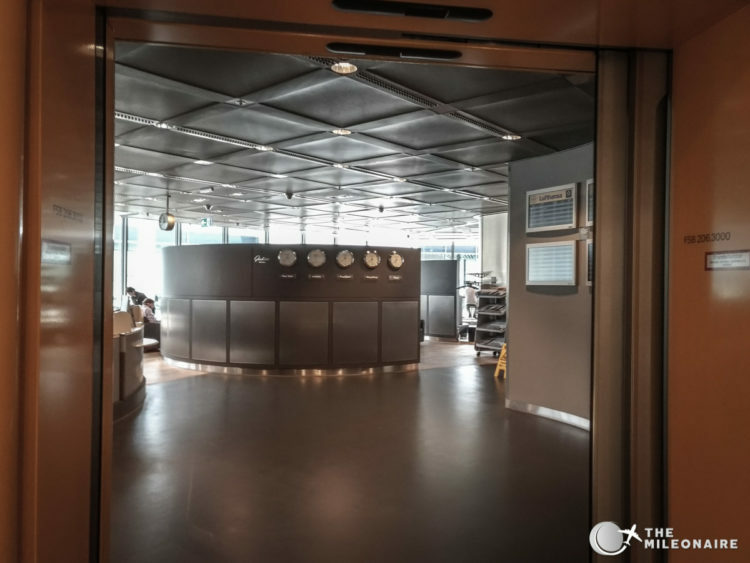 The Business Center in the Lufthansa Lounge Frankfurt. 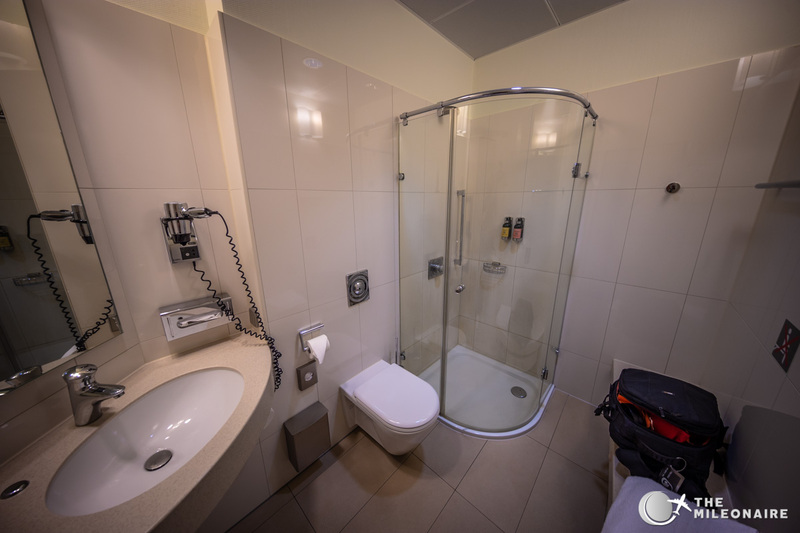 Sadly they also lack that ‘special flair’ that other lounge showers have – e.g. 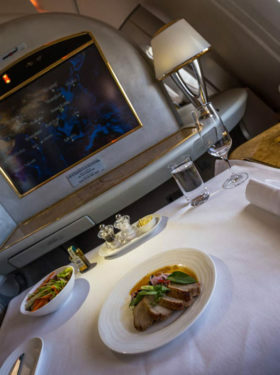 the ones in the Etihad Business Lounge with their fancy design and the luxurious amenities. The Lufthansa ones feel like hospital showers instead. 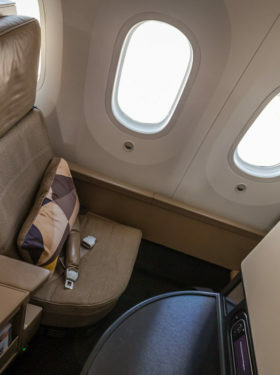 I just feel like with a bit more love and dedication, Lufthansa could improve the guest experience a lotthe. But at least the shower was super refreshing, and I grabbed my favorite newspaper from one of the multiple newspaper stands. With the right drink and the solid WiFi it’s actually a very convenient and relaxed place to spend your time and get some work done. After that it was already time for boarding, and I went back downstairs towards my gate to catch my flight to Singapore! Solid, but that’s it: The Lufthansa Business Lounges in Frankfurt offer what you would expect from a regular lounge, but nothing more – nothing that screams ‘home base’ or ‘five stars’. 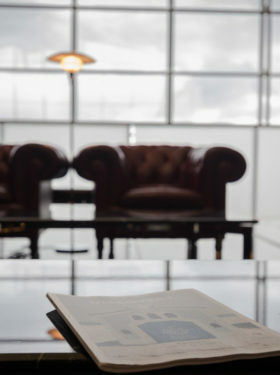 Maybe with a little love and a new interior designer, Lufthansa could elevate their game and make their Lounges in Frankfurt feel more special. Don’t get me wrong though – it’s still a solid place to spend your time and relax.